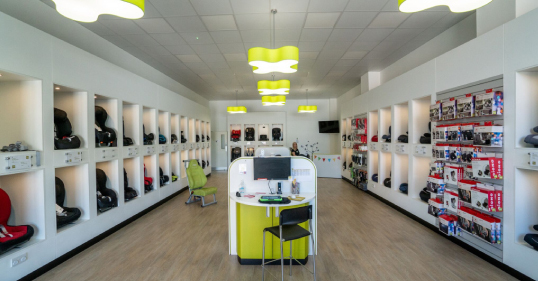 The law surrounding car seats can all get a bit confusing as there is so much different information depending on your car or the type of vehicle being used, so if you are having trouble we hope this will help! Make sure your child is restrained properly at all times based on the type of vehicle you are using. If you are wanting to know more about Regulations, please go here. If you have an active frontal airbag, it is illegal to carry a child in a rear-facing child seat in the front seat. In the Rear Seat the child MUST use the correct child restraint. In a licensed taxi or hire car, a child may travel unrestrained in the rear if a child restraint is not available. This was introduced for practical rather than safety reasons. We would always recommend you use a child seat if possible for optimal safety. In the Front Seat the child MUST use the correct child restraint. In the Rear Seat the child MUST use the correct restraint, where seat belts are fitted. If there are two occupied child restraints in the rear, which prevent the fitment of a third. In addition, a child 3 and over may travel unrestrained in the rear seat of a vehicle if seat belts are not available. In the Front Seat the adult seat belt MUST be worn if available. In the Rear Seat the adult seat belt MUST be worn if available. 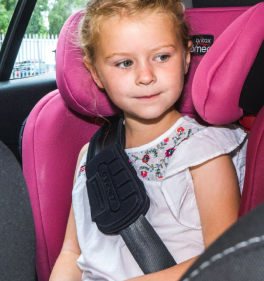 Front Seats: Children travelling in the front of all vehicles, including vans, buses, coaches, minibuses and goods vehicles are required to use an appropriate child restraint or adult seat belts. Rear Seats in Small Minibuses: Passengers sitting in the rear of minibuses that have an unladen weight of 2,540 kg or less must wear the seat belts that are provided. Children under 3 years of age use an appropriate child restraint if available. 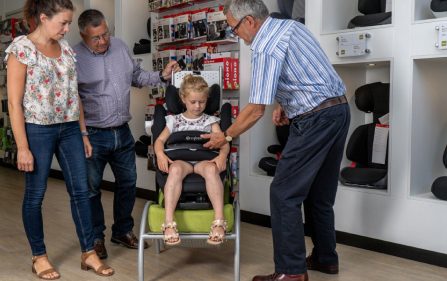 Children aged between 3 and 11 years (under 1.35 metres tall) use an appropriate child restraint if available, or if not available, wear the seat belt. Children aged 12 and 13 years (and younger children who are 1.35 metres or taller) use the seat belt, if available. Passengers over the age of 14 years in smaller minibuses are legally responsible for wearing a seat belt themselves. Rear Seats in Larger Minibuses: Passengers over the age of 14 MUST wear seat belts in the rear of larger minibuses (over 2,540 kg unladen weight). However, all passengers are strongly advised to wear seat belts or the correct child seat on all journeys. Rear Seats in Coaches: Passengers over the age of 14 MUST wear seat belts in the rear of a coach. However, all passengers are strongly advised to wear seat belts or the correct child seat on all journeys. Some estate cars have rear facing seats in the luggage compartment for use by children, and some 2 + 2 sports cars have small rear seats. Child seats/boosters to the required UN ECE Regulation 44/03 type approval must be used on these seats. 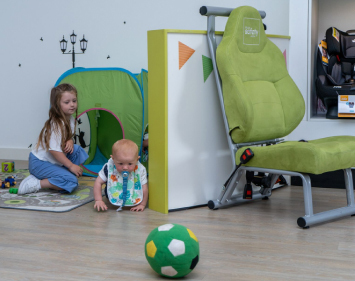 However, it may be that such seats are certified to UN ECE 44/04 type approval standards which means that they effectively approved child seats/booster seats themselves and therefore a separate child seat/booster would not be needed. 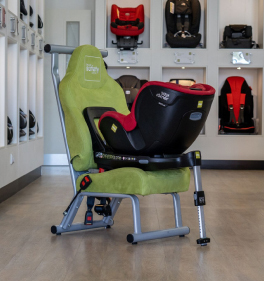 If a seat complies with the type-approval standard, it will have an "E" label, with 44/03 or /04 and the weight range of the child for which it is designed. You may need to check with the car handbook, or the vehicle manufacturer, whether the seat is approved.